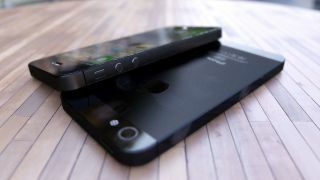 Despite rumors suggesting Apple may already be manufacturing the iPhone 5, a new report on Wednesday claims that production actually won't begin until later this summer. According to "a trusted source," Apple is still moving the iPhone 5 through a series of "engineering verification" test stages, currently in the third of these known as EVT3. Although things appear to be moving right along, the handset has yet to enter the "design verification" test stage, better known as DVT. This new report throws cold water on an earlier, seemingly random report that the iPhone 5 could launch in early August, which now seems impossible given that actual manufacturing has yet to begin. Despite being a few months away, the report also revealed a few details about what the next iPhone will feature besides the iOS 6 software Apple previewed back on June 11. An engineering sample of the 2012 iPhone is being tested with 1GB of RAM, a nice twofold increase from the current iPhone 4S with 512MB. The next iPhone also features 4G LTE, which will presumably take advantage of both Verizon and AT&T networks, if not also Sprint now that they've started rolling out their faster data speeds. Last but not least, a near-field communication (NFC) chip appears to be confirmed for the iPhone 5, although it's unclear right now exactly how Apple intends to use it. The next iPhone isn't expected before the end of September or more likely, sometime in October.